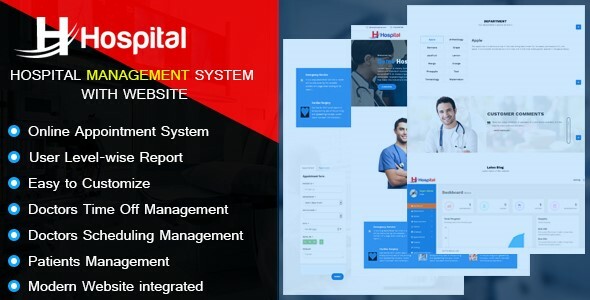 Hospital – Hospital Management System with Website - CODELISTPRO | Free Premium Scripts, Plugins, Apps Source Code. Hospital management system is a online patient management and Appointment , Scheduler application software for getting appointment very easily over internet. This Hospital management system application software is built upon PHP with Codeigniter Framework Hospital can take online patient appointment and patient can take doctor schedule from anywhere of the world.